We’re always hugely happy to announce another web site launch, but this one we’re especially proud of, we’ve been working away with Bird Stewart since late last year, with many clear instructions on what they wanted from a website, and what we’ve been able to deliver. The site looks great due to a long process of choosing the exact photography and style for the site, and although as always there are a few updates to be done (no website should ever be considered complete), Bird Stewart asked us to launch, and it brings a smile to our faces to be able to show this one off. 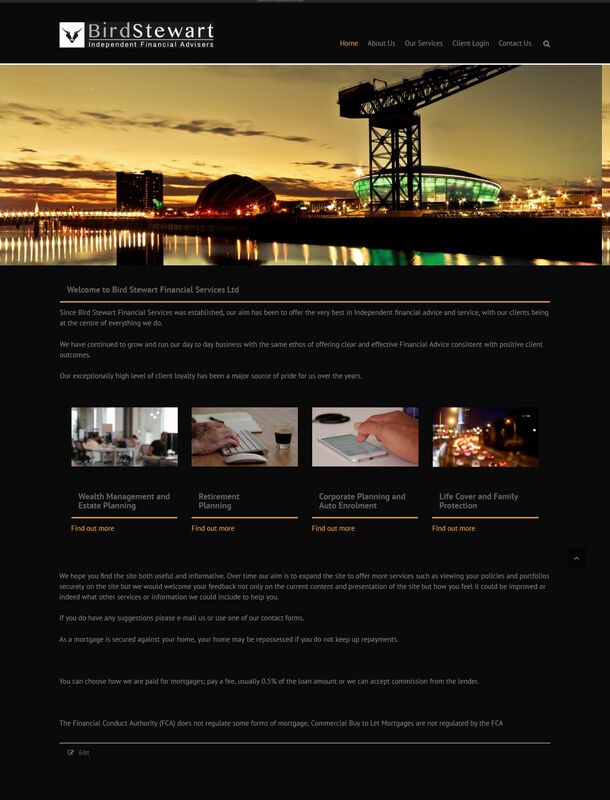 So head on over to www.birdstewart.co.uk for independent financial advice, and check it out.